It’s only a race if you want it to be! Are you inactive? Are you up for a challenge? 10 Week Beginners Programme (0 – 5km): The programme is aimed at people with no previous running experience; our aim is to have you running at least 3 miles after just 10-weeks. Its a chance for you to achieve something you never thought you could. The group progress at a level which is manageable for everyone. A friendly qualified member of the team will be there to encourage you from your first step through to the end. Sessions are for North Tyneside residents and are free of charge. Places are limited so booking is essential. Monday – 10 Week Beginner Programme (0 – 5km) (Commencing 29 April 19). 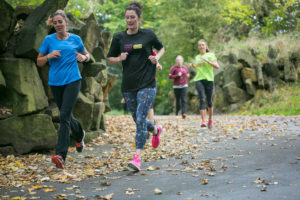 Social Running Group (For further details on this run; contact sport@northtyneside.gov.uk). Wednesday – 10 Week Beginner Programme (0 – 5km) (Commencing 8 May 19). 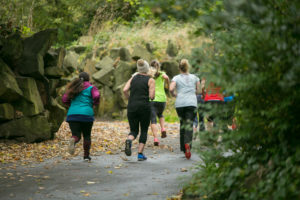 Thursday – 10 Week Beginner Programme (0 – 5km) (Commencing 16 May 19).